things to hold and stir: i dig moDIGliani. ﻿Late in 1919, in a squalid Paris studio strewn with wine bottles, Amedeo Modigliani painted a wistful portrait of his 21-year-old lover, Jeanne Hébuterne. Afew months later, on January 24, 1920, the impoverished artist died of tubercular meningitis at age 35. The following evening, Hébuterne, eight months’ pregnant with their second child, leapt to her death from a fifth-story window. In Italy as a young man, he enrolled in art schools in Livorno, Florence and Venice, where he dutifully studied academic painting and life drawing. His own ambitions would take him to France. “As an artist,” Modigliani liked to say, quoting Nietzsche, “a man has no home in Europe save in Paris.” In Paris, he discovered the work of Renoir, Degas, Gauguin and, among the younger, more radical set, Matisse and Picasso. Modigliani quickly assumed the pose of the flamboyant bohemian: he frequented the artist hangouts of Montmartre and later Montparnasse, wore a bright silk scarf knotted around his neck in place of a cravat or tie and answered to the nickname Modi, a pun on peintre maudit (accursed painter). Most of the painters who made names for themselves in the early 20th century took part in new movements with their own theories and manifestoes: Fauvism, Futurism and the like. Modigliani has been an anomaly as his work doesn’t fit into the standard art-historical categories like Expressionism or Cubism. Not to paint any still lifes and to be so exclusively focused on portraiture was very unusual, if not unique, in his time. 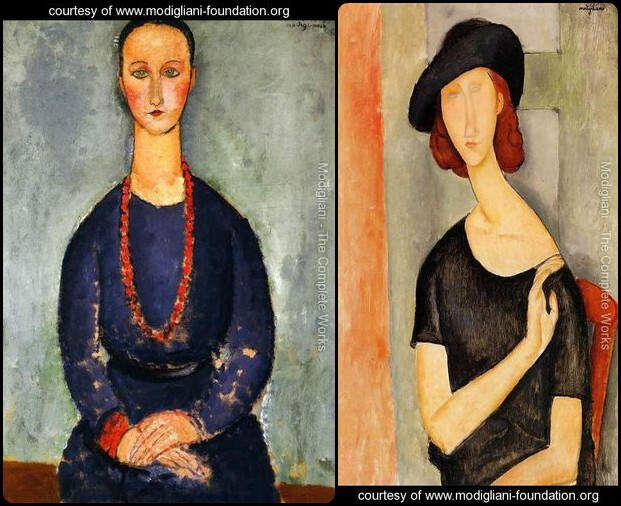 But Modigliani was happy to stand apart. His funeral was attended by a Who’s Who of the Paris art world: Picasso, Léger, Derain, Brancusi and hundreds more. In the funeral procession mourners reported being approached by dealers eager to buy Modigliani paintings. Galleries with his work in stock raised their prices tenfold; purchasers marked them up tenfold again. Forgeries flooded the market. Love the detail on the black Alexander Wang dress. What a great idea to create looks based on paintings! And thanks for the biography, my art history roots have been satisfied! What can I say, I think know more about art/lit/music than I ever will about fashion. Haha, come back for another lesson, next up is drinking copious zelda fitzgerald amounts in the nyc snowstorm! This is amazing! You combined two of my favourite things: modern art and fashion. That's an instant follow. 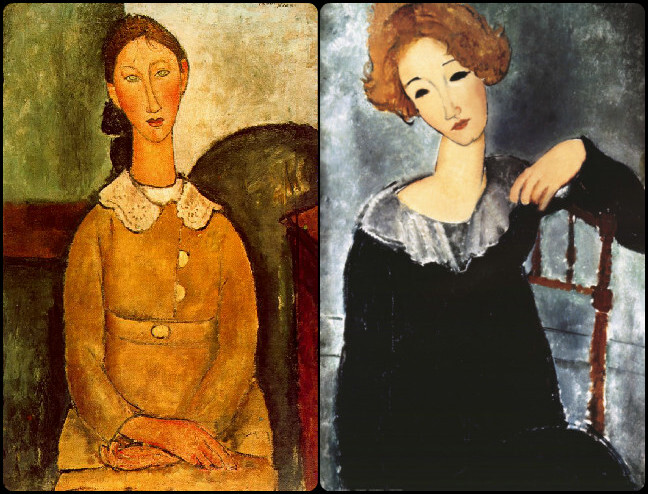 I love Modigliani's portraits, and the dresses (and the coat) you found express these four really well. "an instant follow" amazing! i was checking your blog out earlier very cool. i am finnsh putting the finn model in your post was an A+ in my book! This post is so insightful. Love the approach.. thanks for visiting A Tad Bit Chic. 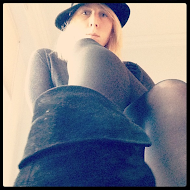 You will be added to my feed... love the blog. I love the idea of this post! So awesome. I love this post – so cool to combine art and fashion! just trying to keep up with your fab outfits! I had no idea about Modigliani...I can't help but think if he was alive today if he could have been saved and in turn the mother of his child.